Update 1: 2 days after this article is published, LHDN has released a statement on 29 Sep 2017. However, the statement is still inconclusive and advertisers are advised to refer to LHDN for clarification, which we did for the past few months. It is good to hear that LHDN will release an official guideline on this, like everyone in the industry this is what we need, and we hope LHDN will reconsider the execution of WHT to not burden local businesses. Update 2: LHDN has issued another note on 16 March 2018, read it here. 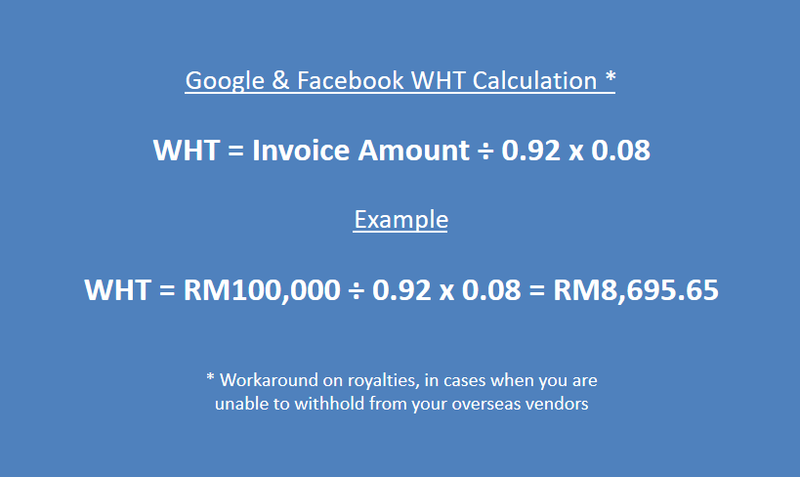 Have you read our previous article on whether should advertisers pay Withholding Tax (WHT) on Google & Facebook advertising in Malaysia? What is withholding tax, and the amendment in 2017? Should, and can we withhold payments to Google, Facebook & co? Can Google & Facebook invoice us from the local entity? Is Double Taxation Agreement the saviour? Yay! 0% WHT for Google, but how about Facebook? How to calculate WHT for Facebook advertising? Conclusion: Help yourself, or expect help? The scope of WHT on payment for services has been expanded, which means services rendered by a non-resident taxpayer to a Malaysian resident are subject to WHT regardless where the services were physically performed. The definition of royalty has been expanded to include items such as software and communication via satellite. Such amounts are from now on, subject to 10 % WHT which may be reduced under tax treaties. Since the announcement early this year, the industry players have been trying to justify that digital advertising doesn't fall under "payment for services" hence no WHT applies. Does digital advertising fall under "payment for services"? 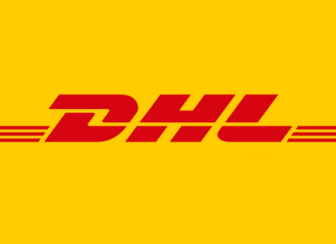 In the email above, it was mentioned that payments made to Google and Facebook for advertising fall under the scope of royalty, instead of payment for services. Having caught by surprise, I arranged a meeting to discuss this matter with the senior LHDN representative above. I have to thank her here for spending the time to explain in great details. You might be wondering too, why advertising is being classified as royalty (which is commonly used for copyright usage) instead of services? Copyrights, artistic or scientific works, patents, designs or models, plans, secret processes or formulae, trademarks or tapes for radio or television broadcasting, motion picture films, films or video tapes or other means of reproduction where such films or tapes have been or are to be used or reproduced in Malaysia or other like property or rights. Know-how or information concerning technical, industrial, commercial or scientific knowledge, experience or skill. Income derived from the alienation of any property, know-how or information mentioned in above paragraph of this definition. That's right, at least to the definition of LHDN. The moment I met the senior LHDN officer, she has already done her research and understanding on how Google Adwords works. "Google AdWords enables advertisers to login and create advertising campaigns," she said. "Yeah, advertisers or agencies will need to self-service and run the campaigns," I added. "You said it yourself, 'self-service' is the keyword here, Google (or Facebook) does not need to manually serve and service you manually, it's all done by the software hence this should be classified under royalty instead of services," she reasoned. "Yes, we are aware that there is support by Google and Facebook but it is free, or at least being covered if you are the advertisers," she added. Whether you like it or not, subjective or not, the justification by LHDN on the use of Google and Facebook advertising software (instead of services rendered) does make sense. Therefore, payment for Google and Facebook is now defined as royalty for the use of self-service Google AdWords and Facebook Business Manager respectively. However, it is still unclear whether other SaaS, Internet services like shopping cart solutions, cloud storage, marketing tools are all classified under royalty. Instead of the standard 10% WHT required for royalty, we can refer back to the Double Taxation Agreement (DTA) on a reduced rate, you can check the full list here. 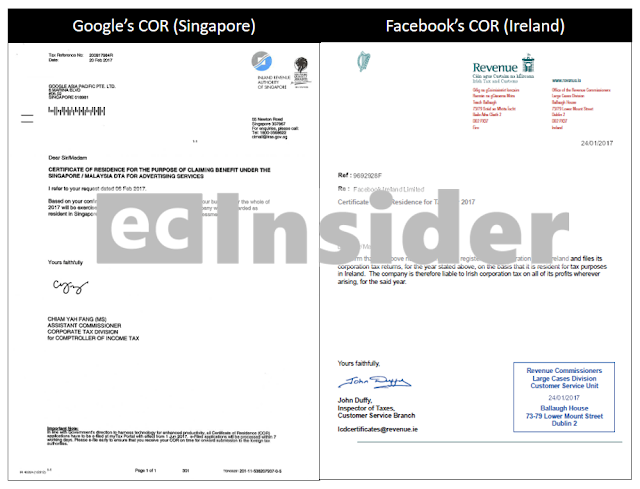 As you might already know by now, Google is invoicing from Singapore, while Facebook is billing from Ireland. By referring to the summarized DTA table above, it is 8% for both Singapore and Ireland under the Royalties column. Just don't forget that whenever you are making WHT payment, you need to submit Certificate of Residence (COR) as a supporting document, to prove that your vendor is a legally registered business in the country you are claiming under DTA. Should you need a PDF copy of both Google & Facebook COR above, try contacting the representative from Google & Facebook. 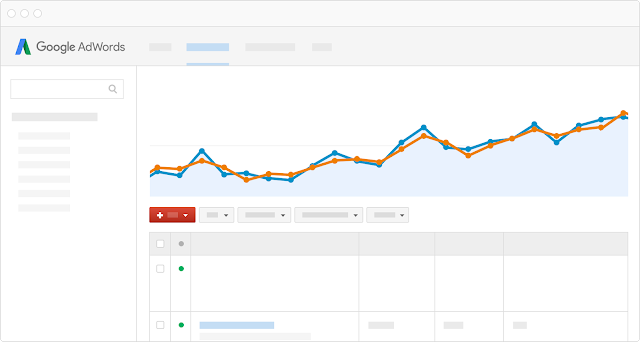 How to calculate WHT for both Google and Facebook advertising? If you still remember, Google and Facebook don't allow you to withhold 8% of the invoiced amount whenever you make payment. Royalty or not, this is where the REAL problem lies. 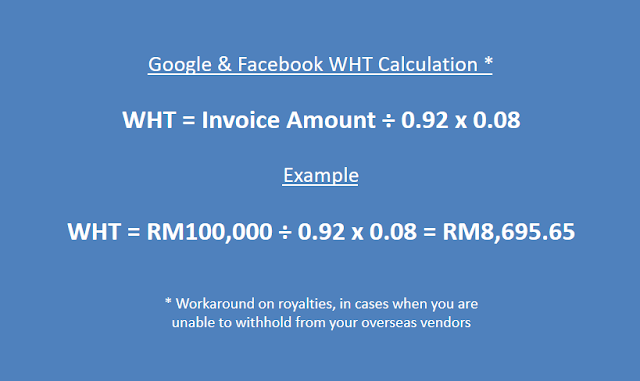 Just a brief explanation again here, LHDN recognizes RM100,000 as 92% of payment made to Google or Facebook in the example above, hence the need for a workaround calculation. Therefore, it is close to 8.7% (not just 8%) based on this calculation. 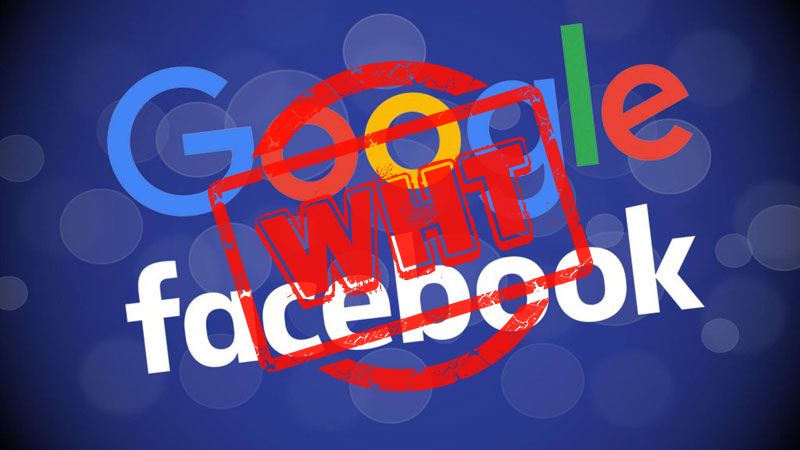 The decision is yours to make, whether to comply with the tax regulation by forking out additional ~8.7% for WHT on Google, Facebook advertising. It is important to mention again WHT is a good scheme to tax foreign businesses, but the execution is challenging with giants like Google and Facebook who monopolies the market. This is an on-going dilemma faced not only by Malaysia, but also many countries out there like the latest attempt by the European governments to tax Internet giants in this era of digital economy. We sincerely hope for Malaysian government to find a good solution to tax foreign Internet software or service provider without burdening local businesses, be it via WHT or some other tax scheme. The local businesses are contributing to the country's development, via taxes, via hirings, so please don't kill them will ya? Growing a business here is not that hard, but more and more tax compliance is making it super tough nowadays. Update: 2 days after this article is published, LHDN has released a statement on 29 Sep. However, the statement is still inconclusive and advertisers are advised to refer to LHDN for clarification, which we did for the past few months. It is good to hear that LHDN will release an official guideline on this, like everyone in the industry this is what we need, and we hope LHDN will reconsider the execution of WHT to not burden local businesses.